Detectives are continuing to search for answers after a man in his 20s was killed on Saturday, June 2 near Alki Beach. Witnesses began calling 911 around 10 p.m. to report that a man had been stabbed near the intersection of Alki Ave SW and Harbor Ave SW. Officers arrived moments later and began CPR. The victim, however, died at the scene. Homicide detectives are working with witnesses to develop a description of a possible suspect. Officers are convinced that this is not a random attack. Anyone with information is asked to call the homicide and assault tip line at 206-233-5000. 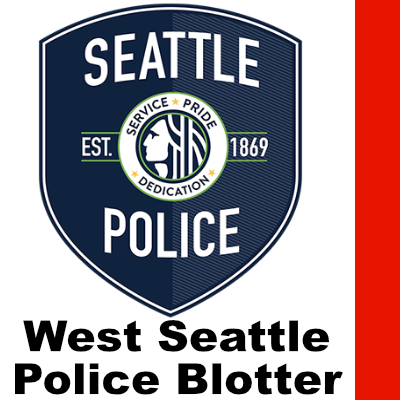 Detectives from the Traffic Collision Investigation Squad (TCIS) are conducting the investigation following a serious injury vehicle/pedestrian collision in West Seattle the evening of June 7. TCIS detectives responded to the scene to begin their investigation and process the scene. The adult driver of the Nissan remained at the scene. Per protocol, a DUI/Drug Recognition Expert officer evaluated the Nissan driver for any signs of impairment. No intoxication or impairment was detected, and the driver was allowed to leave after being interviewed by detectives. 35th Avenue SW was shut down for the investigation between Avalon and Fauntleroy for several hours but has since reopened to traffic.